Learn everything there is to know about the Federation Holo! This Star Trek Starships Federation Holo Metal Die-Cast Vehicle with Collector Magazine has been painstakingly recreated in die-cast metal, high-quality plastic materials, then hand painted with an incredible level of detail. 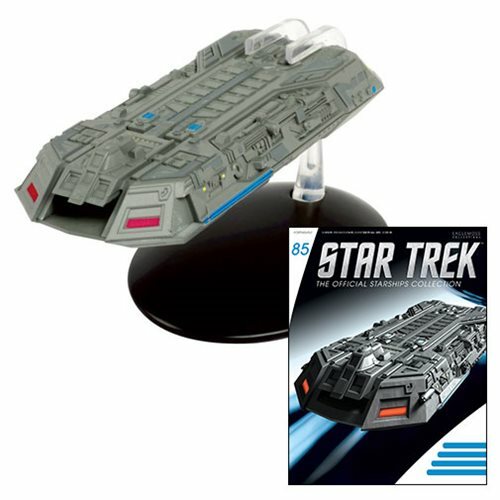 The Federation Holo Die-Cast Metal vehicle comes with collectible fact-filled magazine #85! Enjoy your own library of Star Trek with this Star Trek Starships Federation Holo Ship Die-Cast Vehicle with Collector Magazine #85. Die-cast model measures approximately 5 1/2-inches long. Ages 13 and up.